mAh per display square in. 236mAh/sqrin. 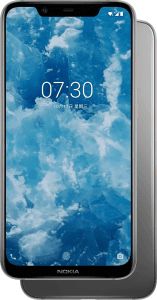 The Nokia X7 (China) (7.1 Plus) lines up with a lot of other imaging-driven 2018 models by touting a 12- plus 13-megapixel dual-lens camera imbued with Nokia's trademark ZEISS optics, and it was one of only a few 2018-released smartphones equipped with a 20-megapixel front-facing camera. That being said, it couples its 2.2GHz eight-core processor with 6GB's worth of RAM, consequently overtaking some close rivals in terms of multitasking. 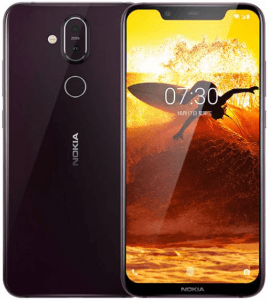 Also called Nokia X7 (China). Pros and Cons Review The photography-first 7.1 Plus boasts a 12- plus 13-megapixel dual camera and a 20-megapixel selfie cam, although the latter could have used an accompanying LED flash. Learn more about its specs in this technical pros-and-cons evaluation. (more) New Nokia phones View all the newest and upcoming Nokia phones.